Need to Collect Payments for Events? This Plugin Will Make It Effortless! 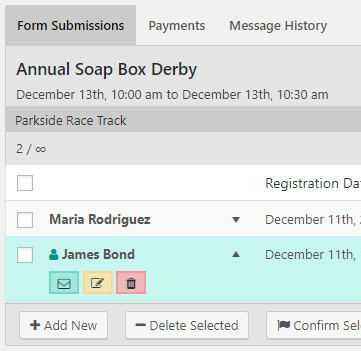 We’re thrilled to announce the first major update to our plugin, Registrations for the Events Calendar Pro. The biggest change is the integration of PayPal, but there are tons of improvements under the hood to make managing registrations for your events even smoother and easier. You can now have attendees pay for registrations immediately after they register. All you need to do is set up an account on PayPal.com that’s able to accept payments, and then configure your settings on the “Payments” tab. You can even use PayPal’s sandbox mode to test this feature before making it live. Check out our guide for more details. You can now create multiple templates for confirmation messages, automatic reminders, and even manual emails. And you never have to leave the WordPress editor that you’re familiar with. You can even set up a custom subject line for each template. 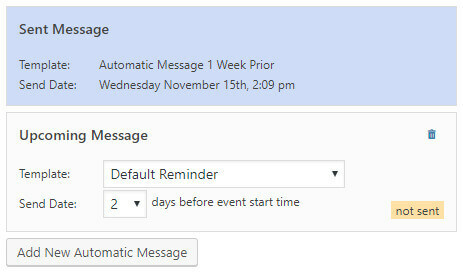 Previously, you could only schedule one automatic-reminder email. Now, you can create multiple automatic reminders, using whatever templates you want. See what messages have been sent, what messages are sending, and what messages are scheduled to be sent. You can also view which attendees have been sent a message on the “Registrations” tab, “Detailed” view. See our guide on using the automatic messages. 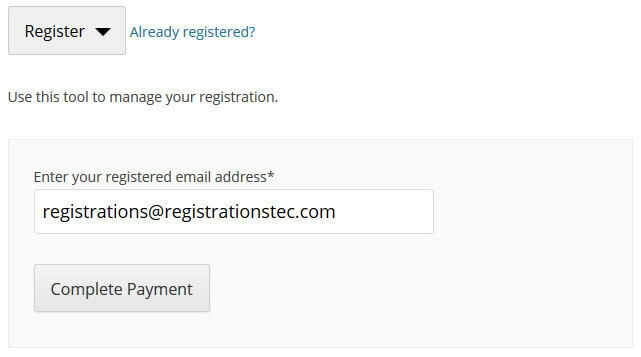 Both logged-in users and logged-out visitors who’ve already registered for an event can now unregister and complete payment (if applicable) right from your event page. A simple link, “Already registered?” reveals these tools. We love simplicity. So we overhauled the usability of our WordPress dashboard. It’s now easier than ever to send emails, change registration statuses, manage payments, and edit data. What Happens to My Old Registrations? 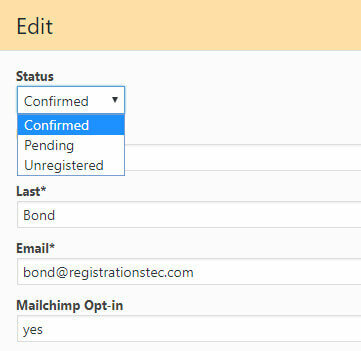 Editing existing registrations from the Dashboard is still possible. Exporting as a csv will include existing registrations. Logged in users can still edit their own registrations. Existing registrations can still be emailed, including existing reminder emails that have been scheduled. Event specific confirmation emails will still be used. 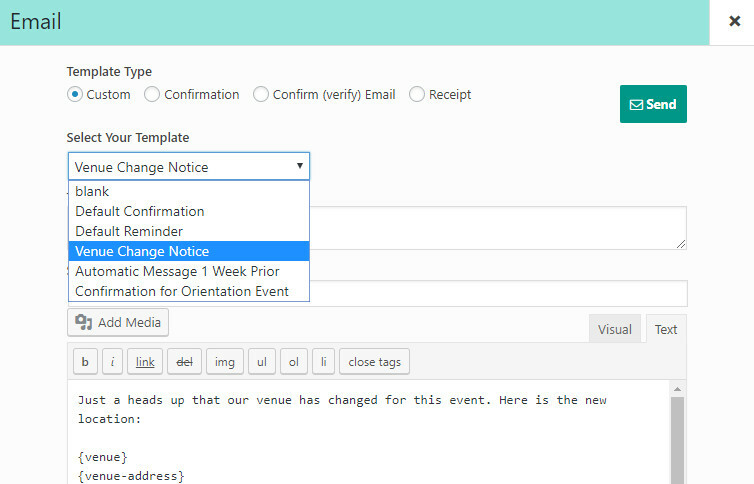 You can disable the custom template to use the new email templating feature. Existing registrations will still show up in searches. Existing registrations count toward the registration counts.